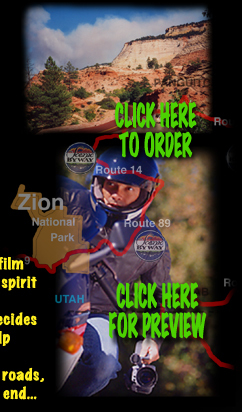 This motorcycle DVD showcases America’s best roads. Redline America is a motorcycling travel DVD so packed with images that you will see new things with every viewing. Bikers will enjoy this motorcycling DVD and we encourage you to share it with your non-riding friends too. With on-board riding footage through some of the Country’s National Parks and best roads, you will feel like you rode coast to coast and back. This is not a “how to” motorcycle DVD and as such was produced solely as a motorcycling road trip movie for entertainment only.